My life changed when I turned seven. It seems so long ago now -- and I guess it was, especially with everything that's happened to me since. Midnight. Comics & Comix. Pop color superheroes in the dark. I started working at Chuck E. Cheese's Pizza Time Theatre in Albuquerque, New Mexico when I was 14 years old, mainly because they were the only place in town that would hire 14-year-olds. If The Ice Storm and The Virgin Suicides (two other books I could have chosen for praise) are the dark clouds of the 1970s, this is the silver lining. The old neighborhood was nearly unrecognizable. First sign: the row of all-night liquor stores formerly known as Whiskey Gulch – and yes, this place could always dependably support multiples – had been replaced by Panda Express, Quizno’s, Chipotle, and Starbucks. 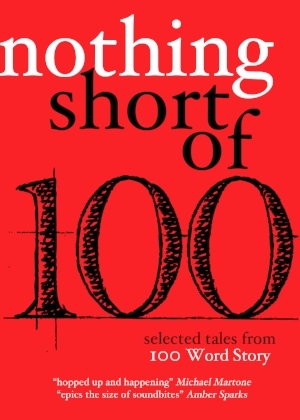 I was honored to be included in the anthology Nothing Short Of..., published by Outpost 19. More information can be found HERE.